We’re here! 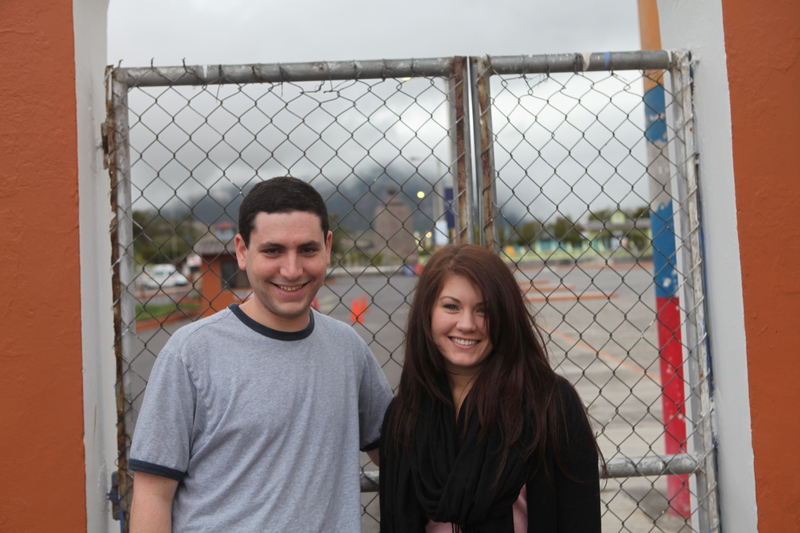 We got to Port Au Prince and true to all we had heard, the airport was probably the most frightening part. After that, it was smooth sailing. We met our contact here, Evan, and he is just wonderful. We have a schedule all mapped out for our next three days and we’re excited to meet the athletes. Our hotel is lovely and basically, we are loving it so far. 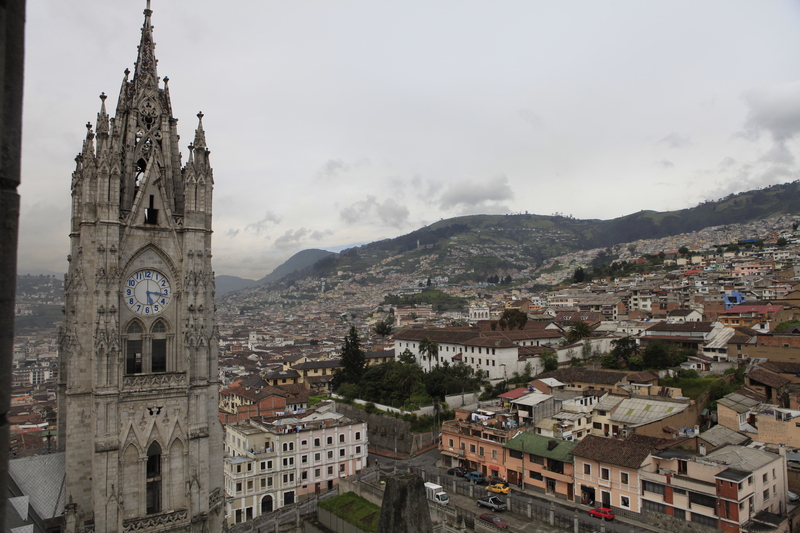 So I’m just now getting around to blogging about Ecuador a good three weeks later. I know, I know, I’m way off. Here I should be blogging about our latest apartment woes or our upcoming trip to Haiti and instead I’m talking about what happened weeks ago. Sorry guys, you’ll just have to bear with me. We’ve been swamped, swamped, swamped! So Ecuador was a blast. I loved it and was terribly sad to leave and would love to get on a plane going back to Quito RIGHT NOW. I can’t even begin to describe everything that we saw or did or ate, but I’ll give you a brief summary of our time there. 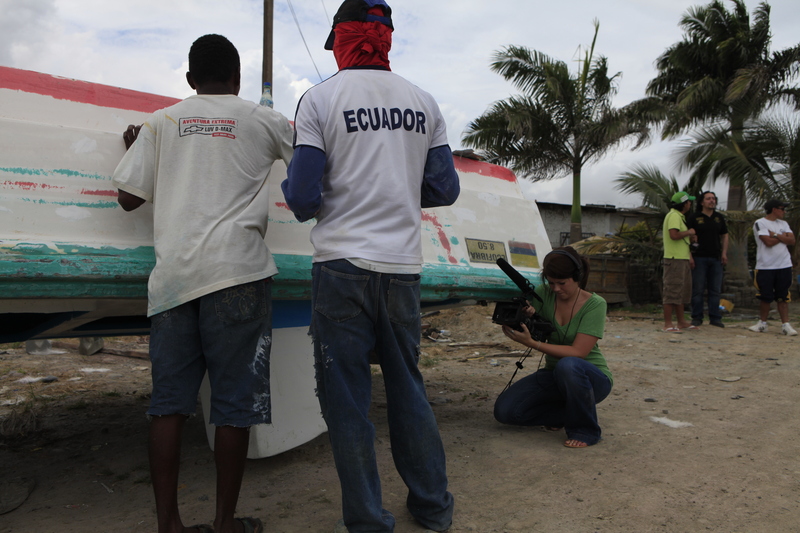 I’m also working on our video piece from Ecuador and I cannot wait for everyone to see it. I’m really excited about it and proud of what we got while we were there! So we arrived in Quito and basically just ate and went to bed, we were so tired. The next day we got up very early and left Quito for Esmeraldas, which is up in the North Highlands of Ecuador, on the coast. We stopped by the monument that marks the Equator, which is a big tourist spot where people like to stand with one foot on either side of the line and take pictures. But because we were there so early, we couldn’t actually get to the monument, so we just took a photo from a ways away. But I mean, close enough, right? 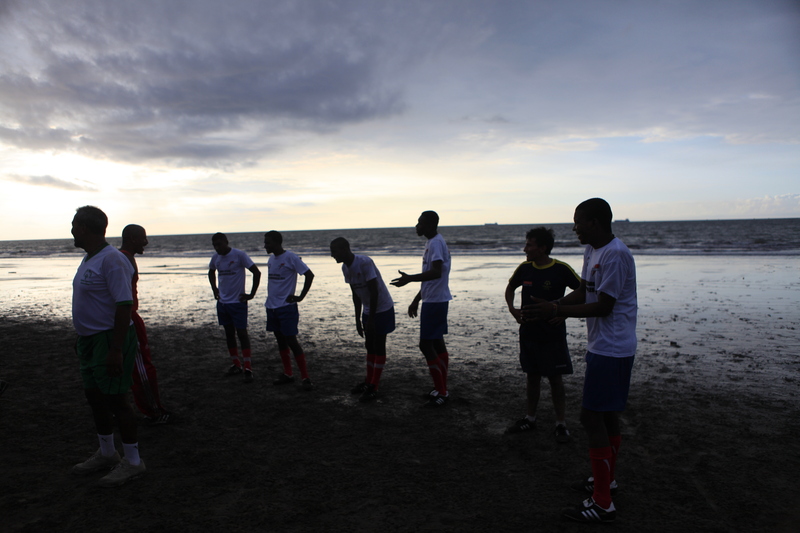 Once we finally arrived, we met the 6 members of the Special Olympics Ecuador soccer team who live there. They were all so sweet and so excited about our video project, and I instantly loved them. We talked to all of them (through a translator of course) and decided to chose one of them to base our story around. His name is Carlos and he’s adorable. As seen here. Nuovo, where he lives, to try and earn enough money. After work, we went with Carlos to another soccer practice and then it was time to eat some deliciously fresh seafood (coconut shrimp, mmmmm), pack up and head back to Quito. Which meant another 5 hours drive, this time in the rain. Which meant another sick Brian. Did I mention poor Brian was sick to his stomach THE ENTIRE TIME WE WERE THERE? Yep. It’s true. I was thanking my lucky stars that I don’t get carsick and don’t have too much trouble with traveling. 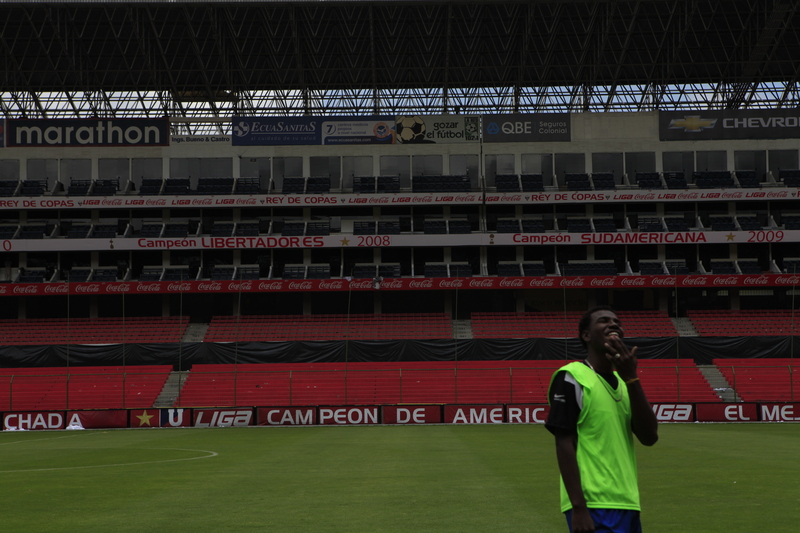 Once back in Quito, we spent our third day filming in Liga stadium in Quito with the entire team. Once a month the members from Esmeraldas come to Quito where they meet the rest of their teammates, who also travel in from other areas, to train all together. So this team only gets to practice as a whole once a month. And they are so good, I can’t wait to see what they do at the World Games in Greece! However, they don’t normally practice at Liga Stadium, which is the place where the national Ecuadorian soccer team plays. And since soccer is HUGE there, these athletes were SO. EXCITED. to be playing there! It was so sweet seeing them taking their pictures everywhere and being so visibly thrilled with playing there. We got some incredible footage and I even got to kick a penalty kick! I made them promise not to laugh at me, because clearly I wasn’t up to par. There’s video evidence of this penalty kick, thanks to Brian and our friend Nico, who was holding my camera while I kicked. Maybe I’ll post it tonight if I’m feeling generous…. Oh, we also had a delicious lunch where I was tempted to order Cuy, which is a traditional Ecuadorian dish. It’s guinea pig, folks. But I decided my stomach might not handle that very well, so I went for something still Ecuadorian, but a bit more American-friendly. We also had some of the best ice cream I’ve ever put in my mouth. All natural, made by hand in a copper pot thing. Incredible. That night Nico took me out for drinks and Ecuadorian snacks at a bar in the old part of Quito, which was absolutely beautiful. There are narrow cobblestone streets with balconies and flowers and beautiful lights everywhere, and it was like something straight out of a movie or a Gabriel Garcia Marquez book. I fell in love with Quito that night. And I also had some delicious cornbread snacks. I mean, cornbread? Come on. I’m in. The next morning was the only time we had a bit of time for ourselves, as we were filming pretty much 24/7, so we got to drive around the old part of Quito and see the churches, which was fantastic. There was a Gothic cathedral there with a tower you can climb all the way up, if you’re willing to brave some very narrow, very vertical, very questionable stairs. Brian made it up one set, but I had to go up the next two sets on my own. My legs were like jelly and my palms were sweaty, but I made it up. The view was totally worth it. And after the game it was time to say our goodbyes to the athletes. I totally lost any shred of professionalism and got all weepy while telling Carlos goodbye. I honestly cannot wait to see him and all our Ecuadorian friends again in Athens. Everyone we encountered was so kind, welcoming and warm. 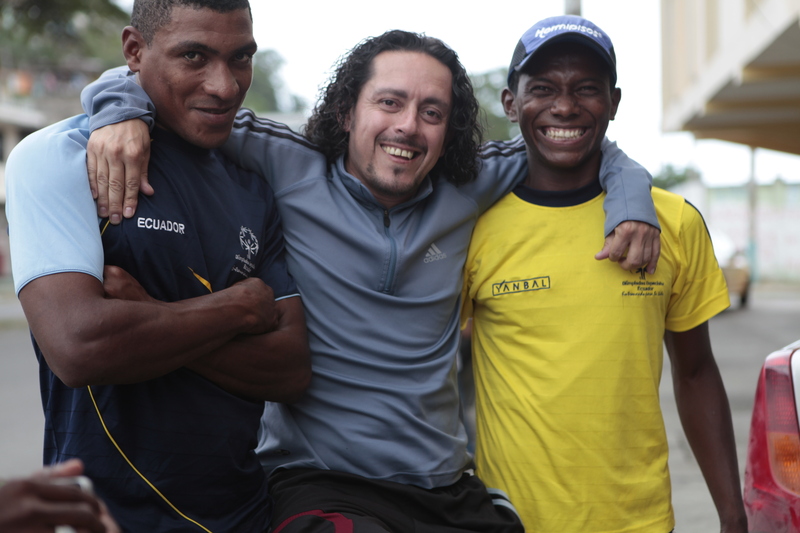 From Nico, our guide, to Victor, the sports director for Special Olympics Ecuador, to Lucho, a Special Olympics staffer who was our driver, to all the athletes, everyone bent over backwards to make sure we had a good time and got what we needed while there. So that’s my Ecuador summary, and if you want to see all my photos, you can check them out here: http://www.flickr.com/photos/mbgarner/sets/72157626205543915/. I hope you like them! The Great Deluge, Day 3: Stinky Carpet Abounds!